We now have the original colors back in stock! A design by Paola Albergamo, here we present kits for Rhythmical Lines. 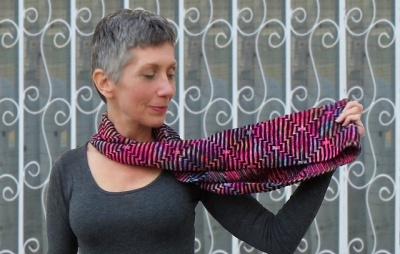 Get the pattern directly from the designer on her Ravelry page here. 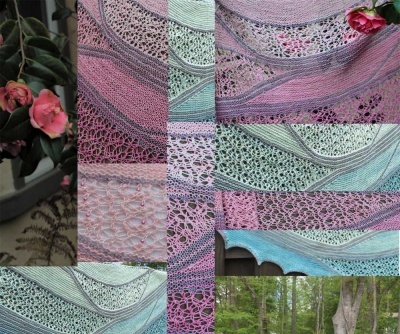 This page offers the gorgeous yarns only. 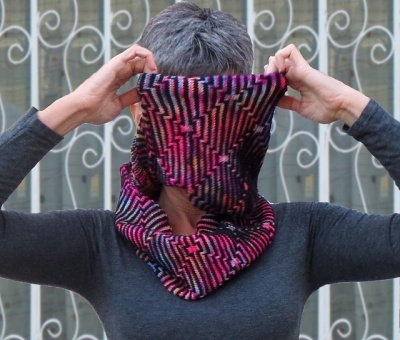 Rhythmical Lines is an infinity scarf featuring a super simple slip-stitch pattern inspired by a Waclaw Szpakowski drawing. Szpakowski was a polish architect and engineer known for his sketches esploring the dynamical possibilities of simple lines. Here the original white background is replaced with a variegated-multicolored one and this variation gives a completely different flavor to the piece. 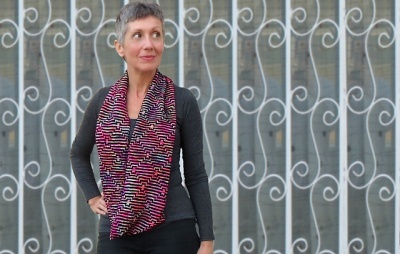 The scarf is worked to the desired length and then grafted. Broken lines are worked on a colorful background, forming a pattern that can be seen as an argile-type design or as a succession of concentric rectangles or - of course - as a series of rhythmical lines. 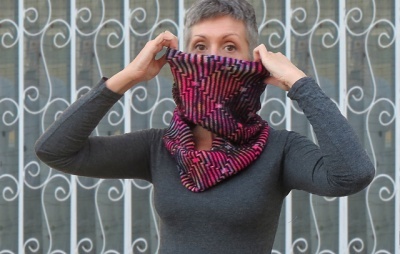 The contrasting lines are thinner than the background because they are worked in garter stitch, while the background is worked in stockinette. 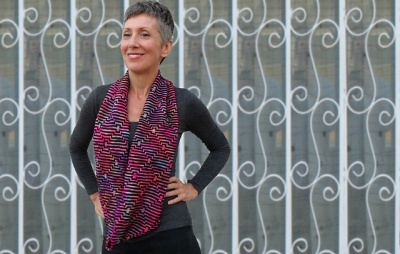 Knitting this scarf is very easy and fun, and the result is stunning! We duplicate here the colors that Paola used to knit her original scarf.. The yarn is Manos del Uruguay Alegrìa (75% Superwash Merino, 25% Polyamide; 445 yards 420 meters/100 gr). 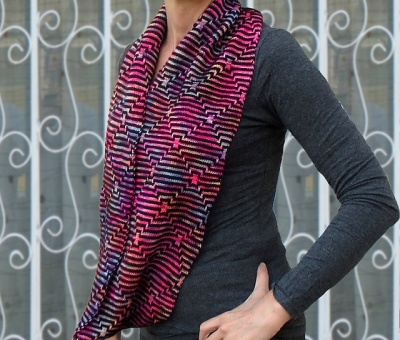 For the MC in her original she used the colorway called Carnaval. Carnaval is a happy fiesta of colors including fuchsia, purple, orange, blue, and some hues in between. For the Contrast Color (CC) she used a different yarn, in a black. We decided to stay with the same Alegria yarn and bring in that Black as well to act as the striking contrast color. You will end up with more yarn than you need to make one (actually, you might evwen be able to stretch this into two infinity scarves). 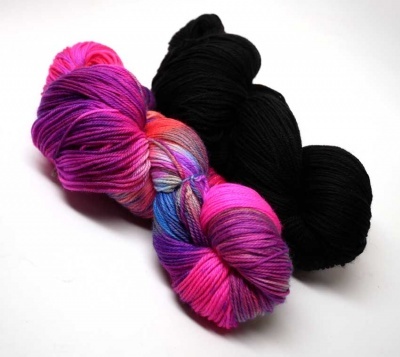 Each kit will give you Alegria Yarn, one skein in Carnaval and one in Black.